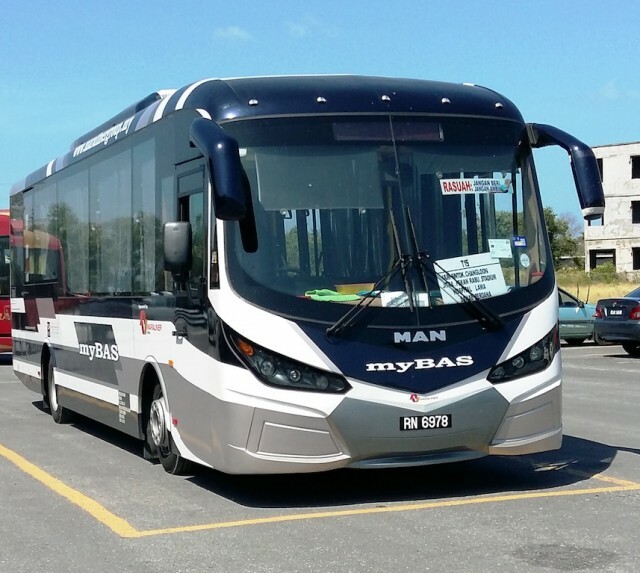 MAN Truck and Bus (M) Sdn Bhd (MTBM) has just announced it has signed an agreement with MARA Liner Sdn Bhd, to expand the existing fleet of myBAS Perlis as well as provide quality after sales service. 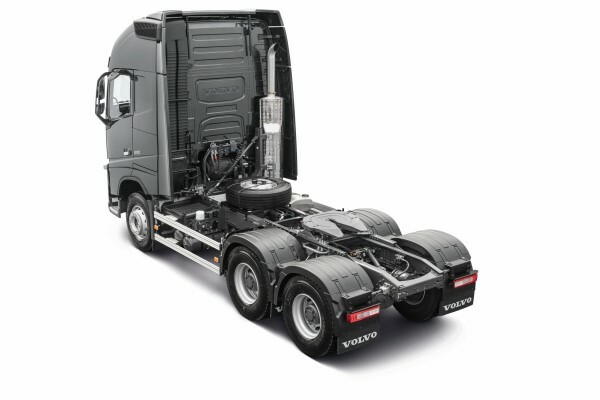 The new MAN buses are based on the MAN 14.280 HOCL two-axle chassis and were built in cooperation with a local body manufacturer. Mitsubishi Motors in the UK just showcased a one-off Mitsubishi Triton (also known as the L200 in the UK) that has been built in conjunction with Top Gear magazine at the 2017 Commercial Vehicle Show held in UK last weekend. Developed in secret by the world’s biggest-selling enthusiast magazine and codenamed ‘Project Swarm’, the totally unique Mitsubishi Triton took centre stage on the brand’s stand. 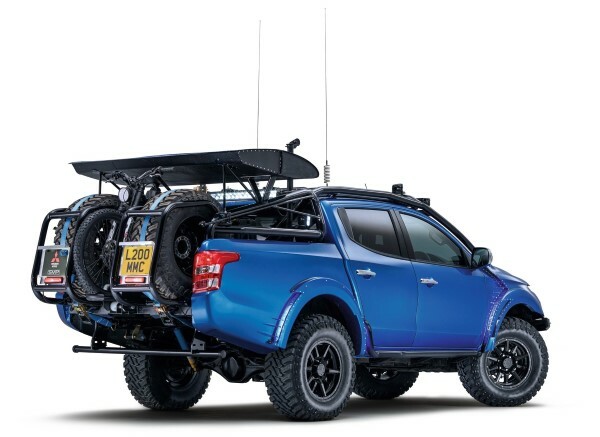 Fully exploring the potential of the Mitsubishi Triton, ‘Project Swarm’ was built in the style of a ‘Pre-Runner’ off-road vehicle – specially modified production vehicles that are beefed-up to ‘pre-run’ stages of off-road desert racers. While it still has the interior comfort of a production Triton, enhanced by a set of bespoke Cobra racing seats, the Desert Warrior has been made even more capable thanks to a range of additions, including an external roll cage, heavily modified suspension, oversized wheels with self-inflating tyres, long range LED lights and some extra kit that will be needed to negotiate some of the world’s harshest terrain. 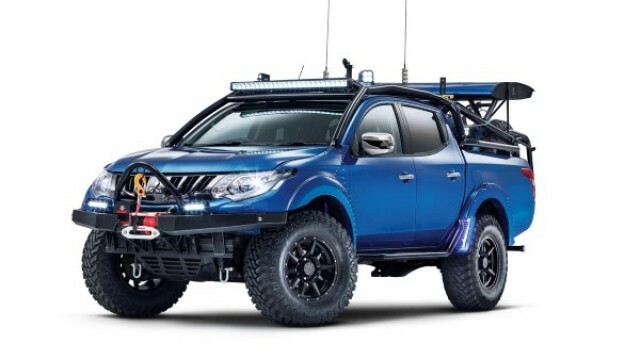 Top Gear is planning to use the Mitsubishi Triton Desert Warrior for a very special upcoming challenge which will feature in the magazine, and online, and detail many of the trucks additional features. An IVECO New Stralis NP has completed the famous 837-mile journey from John O’Groats to Land’s End on a single fill of liquified natural gas (LNG), demonstrating its viability as a genuine alternative to diesel vehicles. 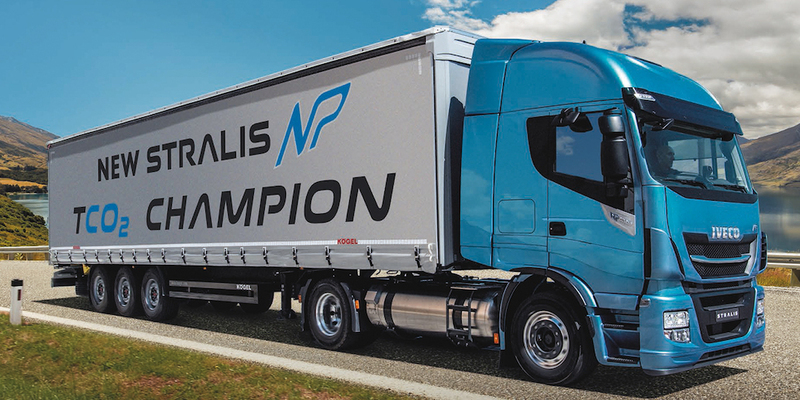 The New Stralis NP offers major benefits including ultra-low emissions, quieter operation and fuel costs which are around a third lower than diesel. 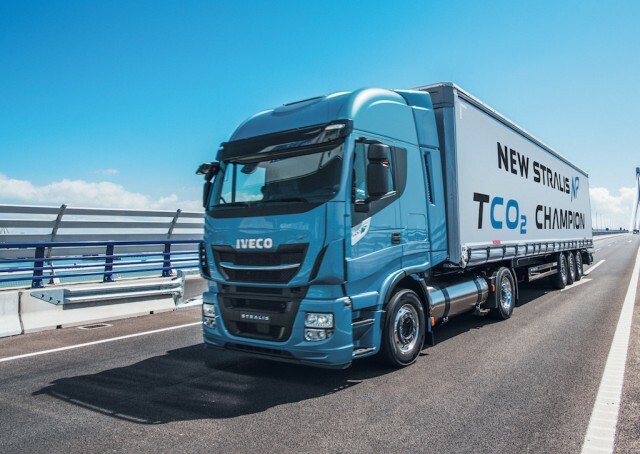 IVECO selected the route as the ultimate demonstration of range and versatility, with the New Stralis NP operating with a laden tri-axle trailer for the first 808 miles, only dropping the trailer at a truckstop in Redruth as the Land’s End Visitor Centre cannot accommodate 13.6m trailers. Thanks to a proven Natural Power technology, heavy truck fleets can take advantage of a simplified after-treatment system, meaning there’s no need for EGR, SCR, AdBlue or particulate filters. Plus, the reduced cost of natural gas versus diesel translates into a lower total cost of ownership, whilst the driving experience is now on a par with the latest generation diesel-powered trucks. The New Stralis NP was powered by an 8.7-litre IVECO Cursor 9 Natural Gas engine which delivers the same output of 400 hp and 1,700 Nm torque as its diesel equivalent, resulting in an excellent power-to-weight ratio, power density and quietness of operation. 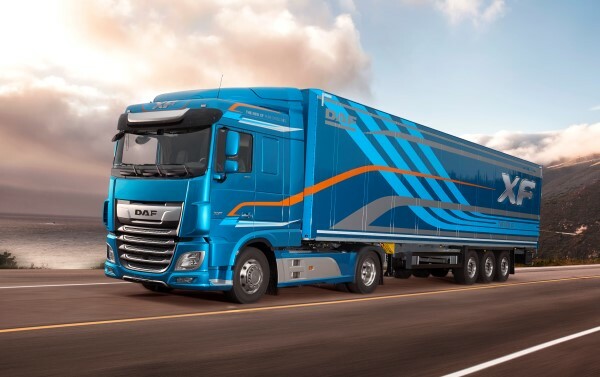 DAF is introducing the new generation CF and XF trucks, which set a new standard in transport efficiency and driver comfort. Thanks to new engine innovations, new drivelines and aerodynamic optimizations, fuel consumption is now 7% lower than before. The new generation CF and XF also feature lower weight for increased payload and an updated interior and exterior design for the highest driver comfort and greatest appeal. These excellent new trucks provide our customers with the lowest operating cost and the highest uptime. The new CF and XF will enter production in the summer of 2017 in 4×2 tractor (FT) and rigid (FA) configurations, the 6×2 tractor FTG and FTP with pusher axles, and the 6×2 rigid with single mounted trailing axle (FAR). Other excellent versions will follow in autumn. 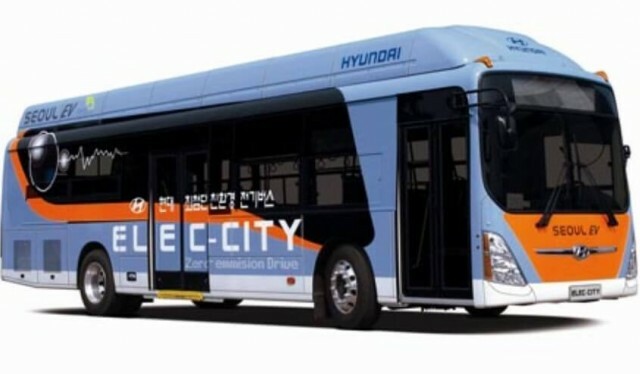 Hyundai Motor Company has announced it will reveal its first electric bus in South Korea next month ahead of its mass production run next year. 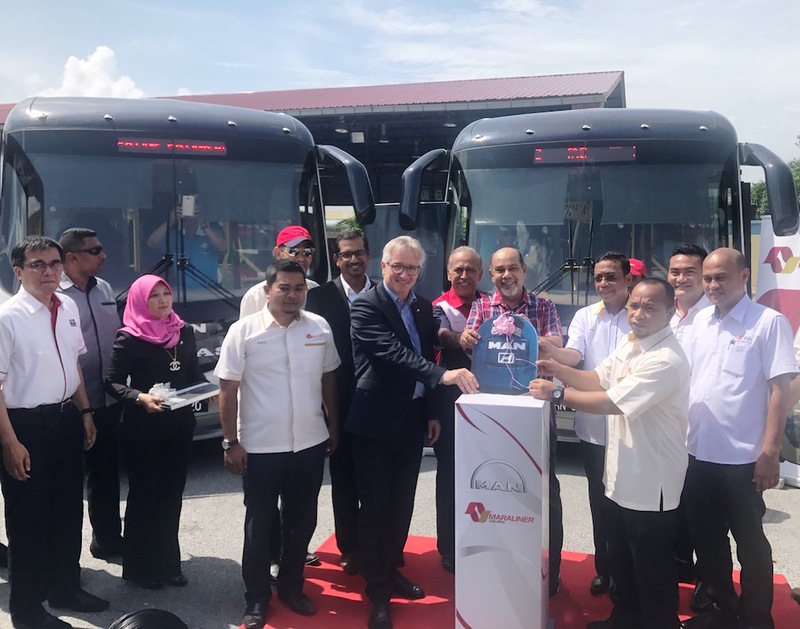 The new bus will have a driving range of 260 kilometres that can be fully charged within one hour with a high-speed charger. Hyundai plans to conduct trial runs of its electric buses in the second half of this year, with plans to roll out the mass-market models in the first half of next year for global sales. Hyundai plans to announce its plans for developing green commercial vehicles in the future, as part of the automaker’s broader EV push. The UK’s commercial vehicle (CV) industry came together yesterday to demonstrate the vital role Britain’s 4.7 million goods and service vehicles – and the people who drive them – play in keeping the country running. 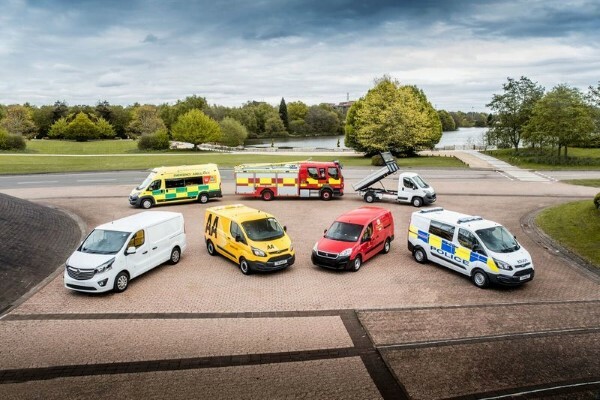 A special display of emergency response, utility and works vehicles at Birmingham’s NEC marked the opening of the 2017 Commercial Vehicle Show, as the Society of Motor Manufacturers and Traders (SMMT) revealed that some 1.8 million sole traders now depend on their vans for their livelihoods. Small businesses and sole traders in particular are on the front line of the UK economy, providing services that are vital to our day-to-day lives. Further, thousands of emergency response vehicles look after our health and safety, buses keep millions of people across the country mobile, while utility and delivery vans and trucks together move three times more goods than water and rail combined – contributing some £27.5 billion to the UK economy. Almost all (96%) of these vehicles are powered by diesel, which delivers the high levels of efficiency and performance needed to transport heavy goods over long distances. On average, diesel vans use around 50% less fuel than petrols, meaning lower fuel bills for operators and affordable costs for consumers and taxpayers. The commercial vehicle sector has invested heavily to ensure that the Euro VI diesel trucks and vans on sale today are the cleanest in history. The development of the latest low emission technology has resulted in Euro VI vehicles that have virtually eliminated particulates, while on-road tests of the latest heavy commercials show a 95% reduction in NOx over their older Euro V counterparts. These modern, low-emission vehicles play a critical part in improving air quality. Businesses of all sizes across Britain rely on their fleet of commercial vehicles to perform tasks that keep the country running – and they are increasingly serving consumer demand for online purchasing. The UK is now the EU’s biggest online retail sector, with consumers here buying some £67.4 billion worth of goods and services online in 2016. Commercial vehicles transported 1.52 billion tonnes of goods across the UK in 2015 – including medicines, clothing and groceries. Around 23,000 people are expected to attend the Commercial Vehicle Show, which opens its doors today at the NEC in Birmingham. Now in its 18th year, CV Show 2017 is the biggest event for eight years, with 460 companies exhibiting, including some of the biggest van and truck names on the market. 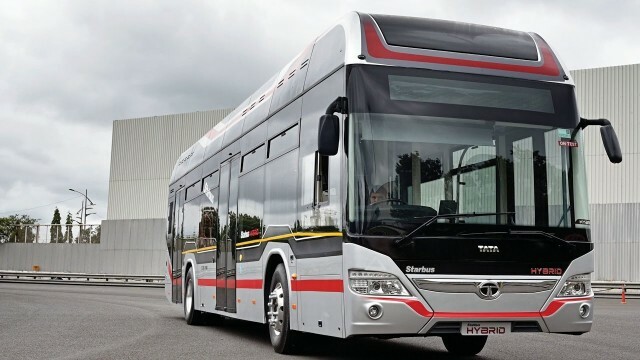 Tata Motors estimates the market electric and hybrid buses in India to reach 400-500 units in the next one year. To tap into the opportunity, which the company expects to grow in the coming years, it unveiled half a dozen vehicles running on alternative fuels. The nation’s largest commercial vehicle maker expects electric and hybrid mass transportation to take off in Indian cities, in line with those like London, Beijing or Amsterdam, as they fight to control increasing air pollution. 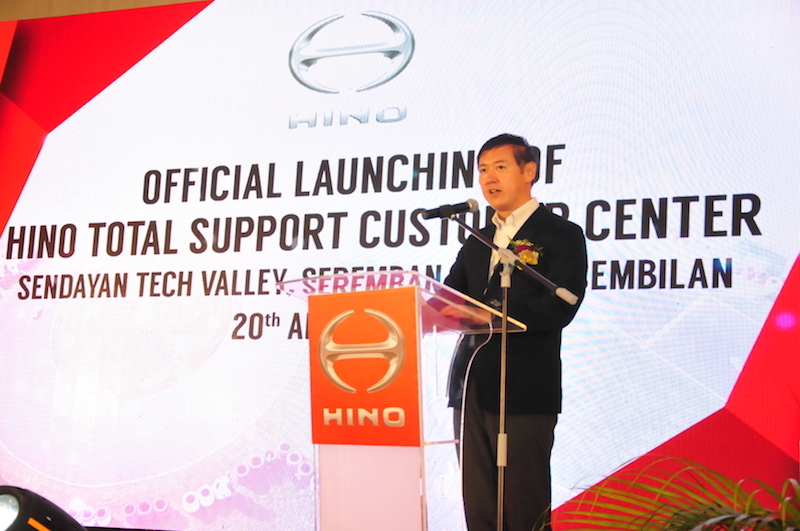 Hino Motors Sales (Malaysia) Sdn Bhd, the number one diesel truck maker and one of the world’s leading manufacturers of medium and heavy-duty vehicles in Japan, has today officially opened its RM8 million upgraded Hino Total Support Customer Centre (HTSCC) which is set to be the catalyst for the company’s next level of business growth in the region. 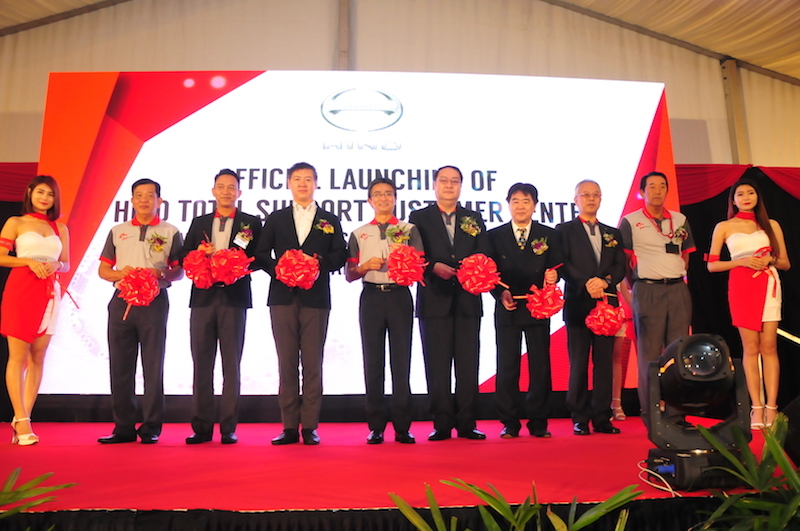 HTSCC, the first in the world outside of Japan is built with international standard specifications from Japan to assist its customers who need to comply with the Malaysia’s government Safety, Health and Environment Code of Practice (SHE COP). HTSCC is built on a 39,600 square metre of land size. 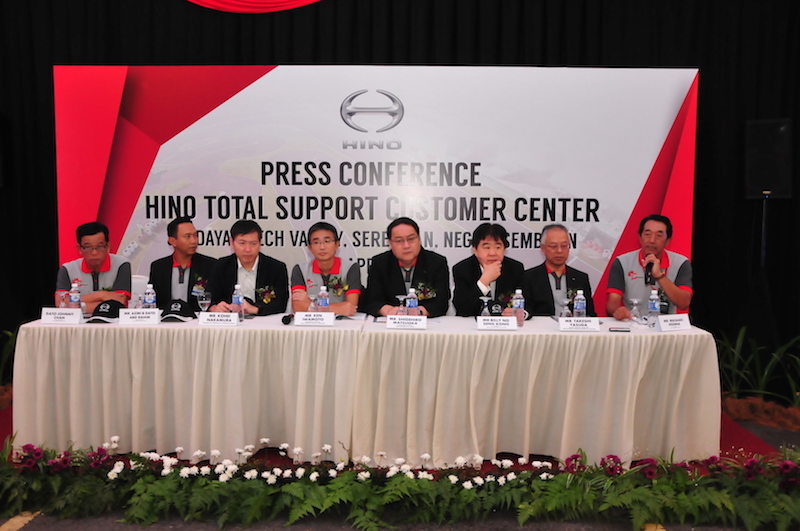 Hino aims for HTSCC to reach a capacity of 2000 trainings annually. These trainings are open for truck or heavy duty vehicle drivers who will be trained with highly ethical driving skills to reduce the number of accidents, complaints and summonses and ultimately to save precious lives and business costs. 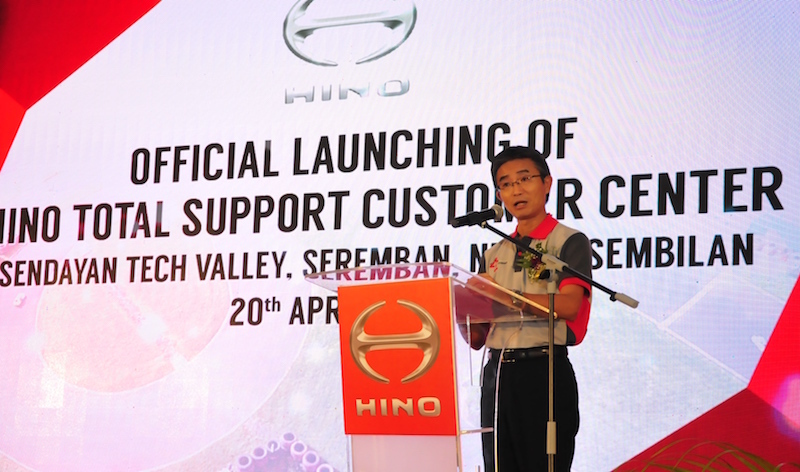 Mr. Ken Iwamoto, Managing Director, Hino Motor Sales (Malaysia) Sdn Bhd said, “The upgraded facility reaffirms our commitment to continue our investment in Malaysia as we intend to make this facility as the catalyst for our local customers and those in the region. It will be a showcase of a tried and tested way to save lives, reduce accidents and business costs. Quoting Ministry of Transport statistics, he highlighted that road accidents cost Malaysia an estimated RM9.21 billion in the year 2016 with a total of 521,466 accidents recorded, an increase from 489,606 in 2015. Out of these road accidents, a total of 80.6 per cent were caused by human error. In 2016 itself, a total of 7,152 people died in road accidents in Malaysia, an alarming jump from 6,706 deaths in the year before. The upgraded facility is now built with more difficult obstacles for endurance and technical skill tests such as slopped road for hill driving, banked road for medium speed cornering, professional driving track, wet handing and panic brake facility as well as a 830 meter driving track. The centre also comes with a maintenance service bay, an open space canteen and a gallery to increase customers’ and public awareness on the history of Hino as a company, its technological revolutions and product advancement. 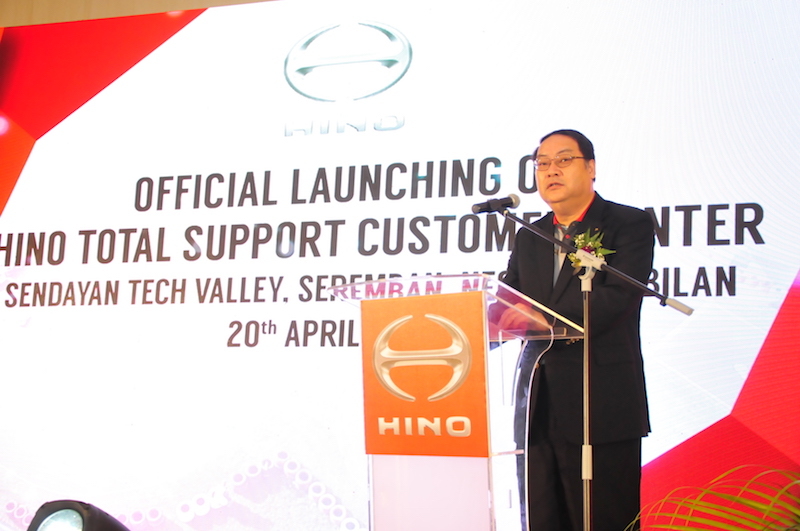 Hino has been established in Malaysia for the past 40 years. 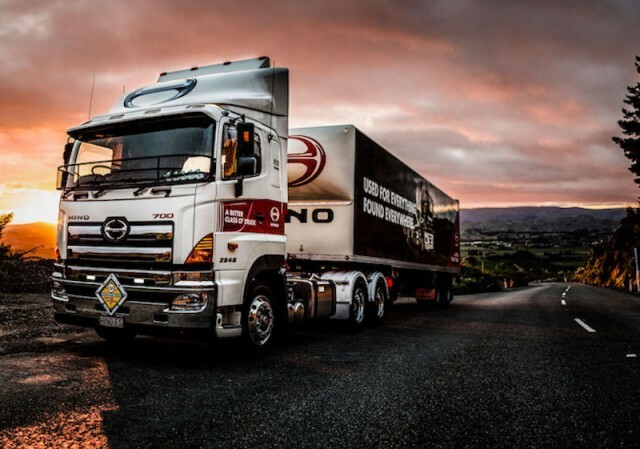 “Apart from providing free training to drivers of HINO’s vehicle owners, we would also want to encourage the public at large who wants to be a professionally certified truck driver to participate in our training programmes. “When there are more professional truck drivers in the marketplace, we hope that such supply will spur companies, organisations and government agencies to put in place a mechanism and a requirement to hire only professional truck drivers certified by HTSCC. This will not only level up the skills set required but also gearing up the entire transportation ecosystem into a new level of professionalism, with better service level and customer care,” emphasized Ken. - This programme highlights Hino’s philosophy of creating a healthy environment by reducing carbon dioxide’s (CO2) emission. Skills and techniques essential for safe and economical driving that will lead to increased business profitability will be taught. - This programme stresses skills and knowledge that ensure customers are familiar with vehicle periodic maintenance schedule, warranty and daily inspection. - This one-day programme emphasizes on safety measures to be taken whilst on the road. Drivers will be tested on fuel-efficient driving, safety driving, and driving training in different road conditions and situations as well as safe driving technique when driving at night. Plans have been set aside to also provide sufficient training to equip the drivers with knowledge on how and when to react in a conflict situation driving on the road and during emergencies in the near future, leading to a mindset change in prioritizing safety and ultimately helping vehicle owners save overall business costs and lives of their drivers. 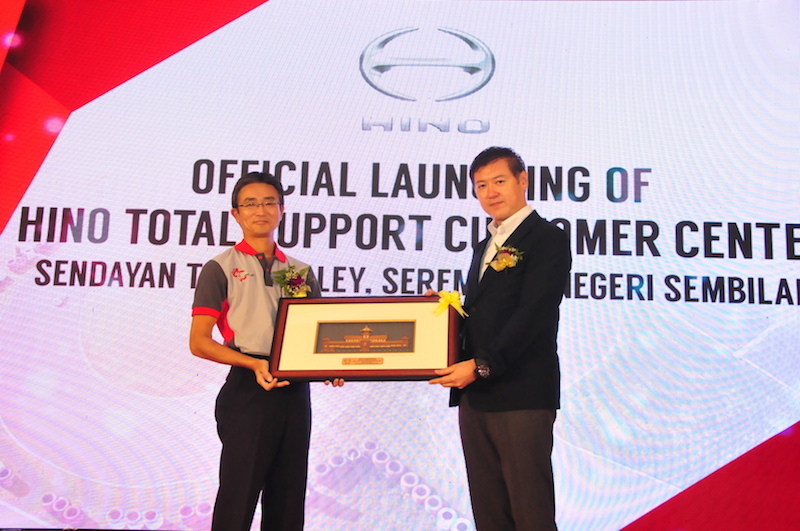 Hino is currently the number one brand amongst the truck makers in Malaysia with a market share of 35.7%. 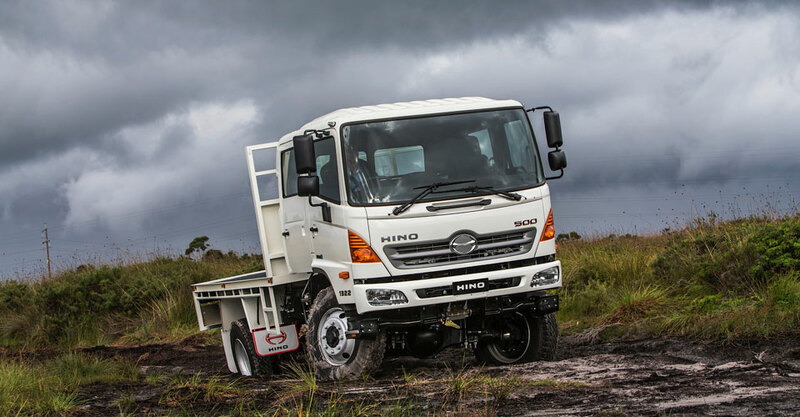 At the end of 2016, Hino Motors Sales (Malaysia) sold a total of 5,870 units of medium and heavy-duty vehicles. This year the company expects to sell more than 6,000 units of vehicles. 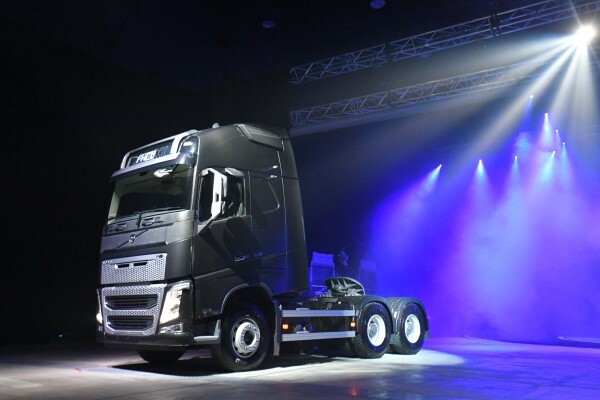 Volvo Trucks unveiled the FH Series, its premium flagship truck, in Malaysia yesterday, offering best-in-class fuel economy, reliability and safety. Designed with the driver in mind and built to withstand the heaviest and most demanding operations, the Volvo FH is the ultimate long-haul that sets a new standard in transportation. “The Volvo FH series is our latest premium flagship product that we believe will deliver exceptional benefits to our Malaysian customers. We have a long history in Malaysia and the addition of the Volvo FH to our product line not only strengthens our current leading position but also puts us in a good place to take advantage of future opportunities in long-haul transport,” said Mats Nilsson, Managing Director of Volvo Malaysia Sdn. Bhd. Built for long-haul regional distribution and with superior torque and power, the Volvo FH series is highly capable of handling deliveries of over-sized loads over long distances. Equipped with technology that creates ultimate onboard safety, a more economical driveline and high uptime, the Volvo FH series pushes the limits on what a premium truck can offer. 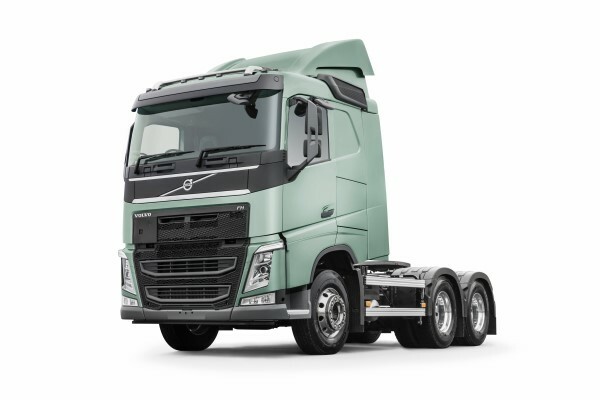 “The Volvo FH has been driving progress for our customers and our company for more than 20 years. It is one of the most valuable products in our offering and the embodiment of our core values—quality, safety and environmental care. 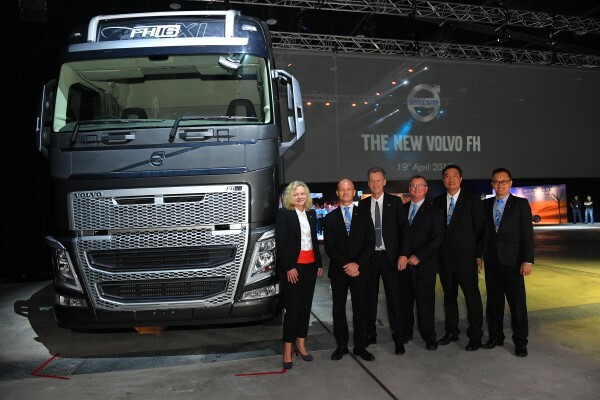 The introduction of the FH series raises the bar in innovative trucking solutions in Malaysia and gives our customers the golden opportunity to improve their productivity,” said Heléne Mellquist, Senior Vice President of Volvo Trucks International. The Volvo FH offers superior handling made possible with the revolutionary Volvo Dynamic Steering (VDS) technology that provides perfect steering stability at high speeds and total control at low speeds. This makes the truck less sensitive to crosswinds and very stable on uneven roads. The Electronic Stability Programme (ESP) efficiently reduces the risk of skidding and rollovers. In risky situations, this feature engages itself by instantly reducing engine power and braking the truck and trailer. 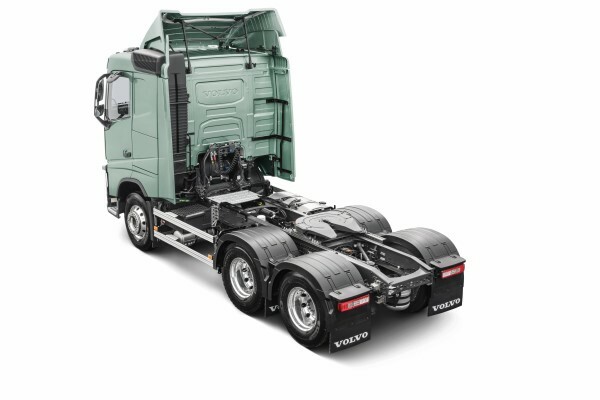 Equipped with Volvo-patented stabilisers, shock absorbers that transfer load stress to the centre of the chassis and a suspension feature which prevents vibrations from spreading through the truck, Volvo FH takes handling to unsurpassed levels in the trucking industry. There is no doubt that fuel economy is one of the highest priorities for haulage firms today. The Volvo FH is designed to save fuel and a number of components including the I-Shift with crawler gears make this truck one of the most fuel efficient in the world. “Thanks to a transmission ratio of up to 32:1 (and up to 37:1 in reverse), I-Shift with crawler gears lets the truck move at speeds as low as 0.5-2 km/h providing total control and precision. This results in better gearing, increased uptime and the ability to avoid accidents that can ruin your day and your productivity,” says Andrew Low, Product Manager, Volvo Trucks. The all-new cab structure of the Volvo FH has undergone over a thousand simulated crashes in Sweden. This exceeds what any authority requires and Volvo Trucks does this with only one objective in mind: to create a truck that is as safe as possible for the driver, passengers and other road users. 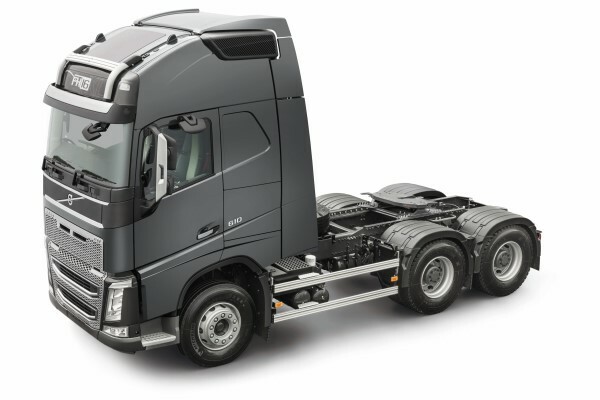 Several key areas were in focus when designing the Volvo FH; with one of the largest cab volumes on the market, the truck provides an optimised working environment and relaxation area for the driver with a standing height of 220 centimeters. The A-pillars, door and floor structure are all designed, together with the windscreen being bonded in place, to provide the best possible protection for the driver. The skylight, which floods the cab with natural light, also doubles as an escape hatch in the event of an accident. The unique rear view mirror design and declining door panel all help contribute to the best visibility for a truck of this category and make the Volvo FH one of the safest trucks in the world. The ergonomic design of the Volvo FH allows good drivers the opportunity to work as efficiently as possible thus increasing their employers’ profitability. The Volvo FH comes with a spacious and comfortable cabin, a sizeable bunk, rear and exterior storages that can be tailored to customers’ needs. Another new feature in the Volvo FH is I-Park Cool, an integrated parking cooler that provides superior cooling capacity without compromising in-cab space or fuel consumption. 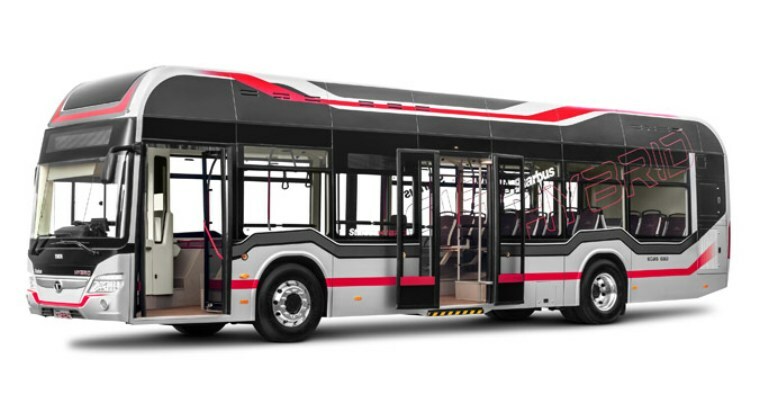 Electric bus manufacturer and BYD kicked off its annual gala yesterday with the promise to deepen its development of electric powertrains to provide greater green transportation solutions. The Shenzhen-based company, which used the event to celebrate a record five billion RMB profit in 2016, also unveiled the ‘Dynasty’ prototype vehicle created by its new Design Director Wolfgang Egger. 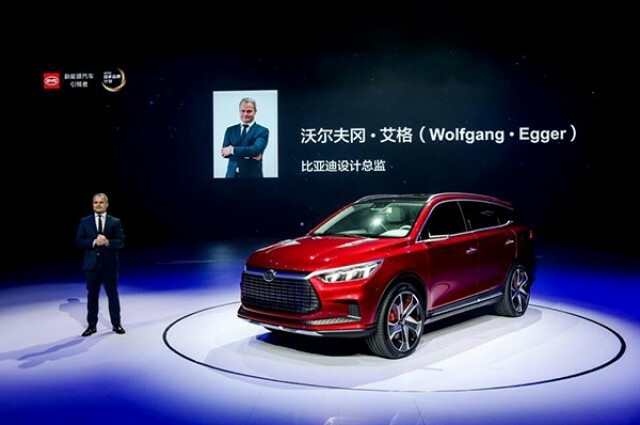 In addition the event at the Shanghai Oriental Sports Center saw the launch of BYD’s electric and hybrid plug-in of the Song series, the Song EV300 and Song DM. Furthermore, Song 7-seater will debut at the 2017 Shanghai Auto Show that begins on 19 April. 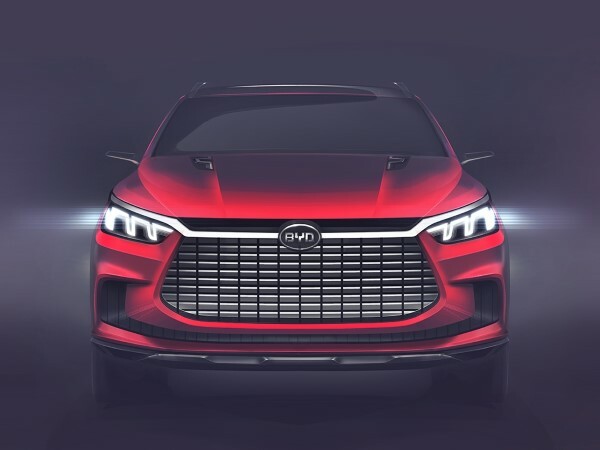 BYD is preparing to make an even greater push internationally by investing in world class technology and expertise that advances its vision of creating an eco-system of quality new energy products. The five billion RMB SkyRail monorail that was launched last October, the appointment of Hollywood actor Leonardo Dicaprio as brand ambassador in China for new energy vehicles, along with the recent hiring of two European automobile heavyweights underscores the company’s strategic global expansion. BYD supports a concerted effort in mitigating climate change. Last year it used the C40 Climate Change conference in Mexico to call for a joint effort in reducing the global temperature by 1 degree Celsius.